Before starting, I want to make it quite clear that I don't know that much about the game of cricket. I have lived in New Zealand for twenty-one years, been to one cricket match, watched a few one-day games on the telly and I still know almost nothing. That will not deter me from telling you all about it. Many Americans visiting or moving to New Zealand will, at some point, come face to face with the game of cricket. Don't worry; it won't cause serious damage to you or anyone with you. As a matter of fact, you could probably stand right next to a cricket game being played and not even notice . . . many people do. If you find yourself standing in a field along with some guys dressed in white signing autographs or talking with each other, stretching and doing little else, you are probably in the middle of a cricket game. You should immediately get off the field, there is little chance of something happening but you never know. You see, cricket matches don't move along very quickly. As a matter of fact, some grasses grow faster. I have known wars to have been fought and won in less time than it takes to play a game of cricket. To get around this boredom, many fans bring picnics, books, and maybe a blanket or even a cot to sleep on. Some fans come to the park at lunchtime and after work. In this way they keep their job and don't seem to miss much of the game. Many cricket matches played by organised teams are now played in one day... that is one 'whole' day, which includes lunch and tea breaks. There are times though, when a match could go on for five days! That's right; players go home, have dinner, watch a little TV, sleep all night, eat breakfast and return to the stadium in between balls being thrown. Now that you have some background information, let's get down to the particulars. A cricket match is played on a grass field (which is usually roughly oval), in the centre of which is a flat strip of ground 22 yards long and 10 feet wide, called a pitch. That's why they can't call the act of throwing the ball a pitch (the term has already used) so they call it bowling. This is in spite of the fact that the ball is not bowled as in the common usage of the word but pitched! At each end of the pitch is a set of three upright, parallel wooden stakes (known as stumps) driven into the ground, with two small crosspieces (known as bails) laid on top of them. This entire wooden structure is called a wicket. Regardless of what you hear, it is not sticky. The game of Cricket itself is a bat and ball sport played between two teams, usually of eleven players each. One team is in the field and most of the other team is in the bleachers having tea or taking naps. Although there are only eleven players on the fielding team, one of them is the bowler (the guy who throws the ball) and another, the wicket-keeper, (the guy who usually catches the ball) there are forty or so defensive positions that can be played. There is not enough space on the Internet to cover all the fielding positions. Besides, if a player moves two steps to the right or left, it seems he moves to another position or even invents a new one. For instance, say a guy is playing silly-point (I'm not kidding) and he moves two steps to right; now he's closer to playing silly-mid-off! That is, if the batter is right handed. If the batter is left handed, the guy goes from strong-leg to silly-mid-on! Most of the positions are named roughly according to a system of reference to the batsman or the craziest things they could come up with at an all night party in Gloughchestershire Forrest or somewhere near there, many years ago. One word (leg, cover, mid-wicket) specifies the angle from the batsman, and is optionally preceded by an adjective describing the distance from the batsman or bravery of the player (silly, short, deep or long). Words such as "backward", "forward", or "square" can further indicate the angle or possibly the mental state of any player. A player from the fielding team (the bowler) bowls a hard, fist-sized cork-centred leather ball, the approximate consistency of a lump of cement, from one wicket towards the other. One player was actually killed by a ball when hit on the head while fielding at forward short leg (I'm not kidding.) The ball usually bounces once before reaching the batter but doesn't have to. At times the target is a spectator in the stands who may have said something disparaging to the guy playing silly offside middle belly. Never the less, the idea is to knock the bails off the top of the wicket or, at least keep the batsman from hitting the ball for a good score. Hitting the batsman with the cement ball is okay too. If he must be rushed to the hospital, the team in the bleachers wakes someone up and he, very slowly, walks out to take his turn at bat. 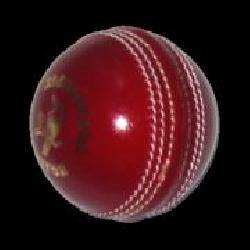 The bowler must throw the ball from behind a line called the crease at the far end of the pitch from the batsman. Before throwing the ball, the bowler takes a long walk away from the crease to think about what he's about to do. Sometimes the walk is short but often he ends up outside the park, maybe stopping at a coffee stand for a 'cuppa'. If he sees someone he knows, he might stand and chat for a while. When he is finally ready, he turns and starts running back into the field at full pace and just before reaching the crease, he throws the ball at the wicket on the other end. One of the two guys on the field from the team eating and drinking in the bleachers tries to defend the wicket from the ball by using a wooden cricket bat. He is called the batsman. The other guy from the team in the bleachers stands at the other wicket doing nothing. He is called the non-striker and could actually lie down and go to sleep if it weren't for the fact that the batsman might, in fact, hit the ball! If the batsman is fortunate enough to do so before it is time to break for tea, the two must run to their opposite wicket (pass each other) in order to score a point. When the ball is in-flight, the batter quickly decides if he thinks the ball will hit his wicket. That is not all he must decide though. He is standing there in more protective padding and armour than Attila the Hun wore when he invaded France. If he hits the ball he must run to the other wicket (and his partner must run back) before one of the fielders gets the ball back and knocks the bails off a wicket or before one of them passes out from exhaustion. So if the batsman thinks the bowler couldn't hit the broad side of a barn he can just stand there and watch the ball go by and do nothing. After all, there is no hurry; they could be there for a couple of days. There is no rule as to the number of times the fielding team can throw the ball nor the times the batsman lets it go by or hits it. If it weren't for the fact that someone should score to win the game, this could go on for hours . . . and at times, seems to! A typical game has two innings, one for each team. That means one lounging in the field (except the bowler and the wicket-keeper) and one lounging in the bleachers (except the batsman and the non-striker). Innings are further divided into overs of six (legal) balls bowled. Yes, there are illegal balls but the casual observer won't know what happened except another point will be added to the score. At the end of an over, the batting and bowling ends will be swapped, and the bowler replaced by another member of the fielding side, the first being too tired to continue because of his walks outside the park and then running back into play. The novice fan can tell the end of an over by observing when everybody, including the umpires wander around aimlessly, talk to each other and end up pretty much in the same place only pointing in the opposite direction. When bowled, the small cement-like ball can reach speeds of up to one-hundred miles per hour. Because of this, the game is usually played in daylight, on fine days with no rain, snow or sleet to keep the ball from being seen. There are formal intervals on each day of a match for lunch and tea, and shorter breaks for drinks, where necessary. There is also a short interval between innings. Once again, I'm not kidding. After all, you cannot expect the players and umpires to stand out there in the sun, doing nothing for up to six hours without having lunch, tea and a few drinks. Remember now, these are the players! The fans have long ago drunk most of the beer in the Southern Hemisphere, been to the toilet twelve times and probably taken a nap. There are many nuances to the game of cricket and what I have described are only the very basic 'need to know' aspects of a really interesting game. To go any further we would have to get into really weird things like 'Leg Before Wicket' or even a 'Golden Duck'! Many sources claim that Cricket is the second most popular game in the world (The first being Monopoly)! But then half the world is asleep at any given time as well. One has to remember that explaining American baseball to a New Zealander would appear just as mind boggling as what I have described above. In the end, there is little more exciting than a one day Cricket match between Australia and New Zealand and I wouldn't want to miss it. But the teenager ran out to bat clutching his bat and a helmet. Yes, it is a very English way of saying he was ruled out for not wearing pants - Sorry, I didn't cover this rule in my explanation. Hi Walt, I read your cricket explanation and it brought to mind this old joke about cricket, after a bit of research I found it on Google, here it is, but it is not attributed to anyone as far as I can find. The Rules of Cricket You have two sides, one out in the field and one in. Each man that's in the side that's in goes out, and when he's out he comes in and the next man goes in until he's out. When they are all out, the side that's out comes in and the side that's been in goes out and tries to get those coming in, out. Sometimes you get men still in and not out. When a man goes out to go in, the men who are out try to get him out, and when he is out he goes in and the next man in goes out and goes in. There are two men called umpires who stay out all the time and they decide when the men who are in are out. When both sides have been in and all the men have out, and both sides have been out twice after all the men have been in, including those who are not out, that is the end of the game! Baseball - yes, cricket - no,but what do I know - I've dozed off during both! Now I know why I never could make heads or tails out of this game, but then again I have trouble with any sport!